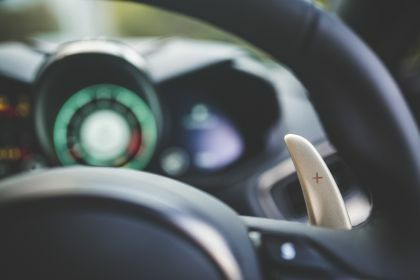 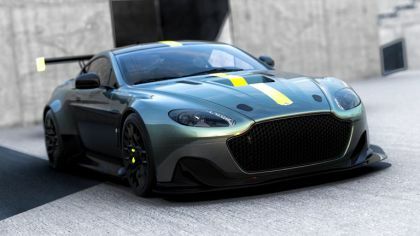 On this page you can find 22 high resolution pictures of the "2019 Aston Martin DBS 59" for an overall amount of 66.62 MB. 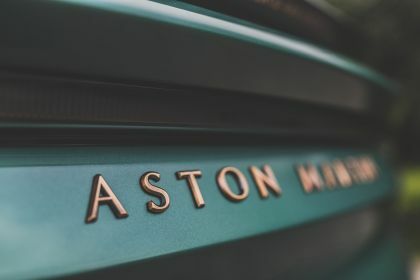 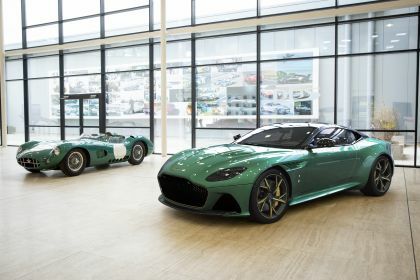 18 April, Gaydon: Built to celebrate one of the most illustrious moments in Aston Martin’s motorsport history, ‘DBS 59’ is a limited run of 24 special edition DBS Superleggeras, the first of which has just been built at the company’s global manufacturing headquarters, Gaydon. 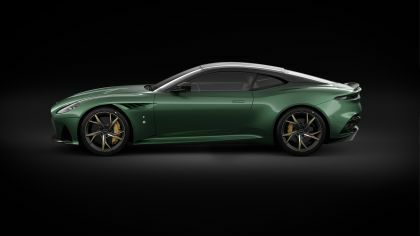 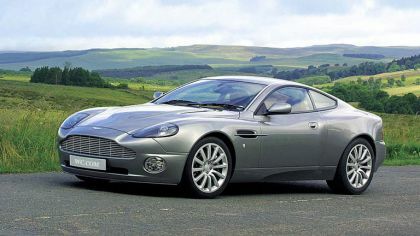 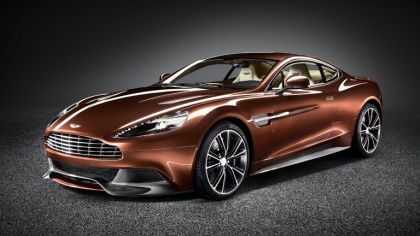 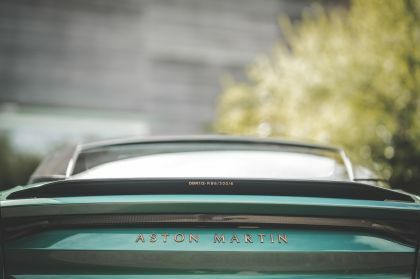 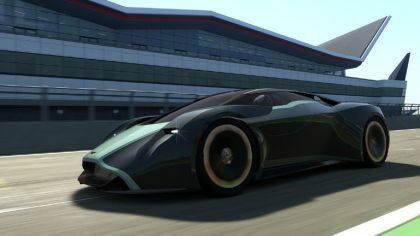 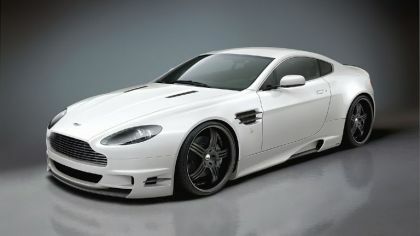 ‘DBS 59’ was a special commission through ‘Q by Aston Martin’, the luxury brand’s unique personalisation service that allows for the creation of iconic sports cars through close collaboration with the Aston Martin design team. 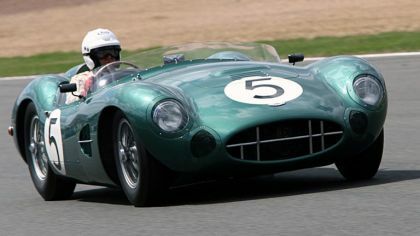 Commissioned by Aston Martin Cambridge, the project honours Aston Martin’s historic 1-2 finish in the DBR1 at the 24 Hours of Le Mans. 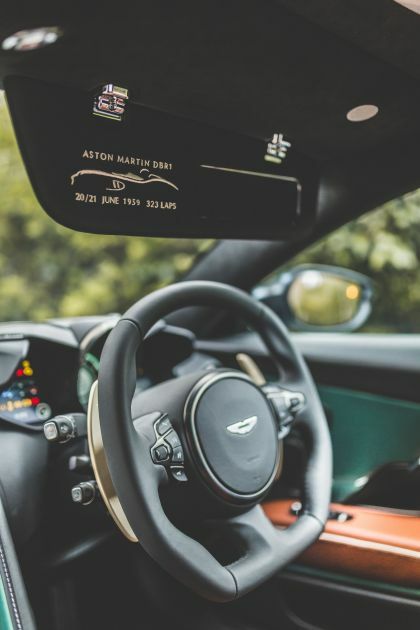 Each car represents one hour of this iconic victory in Aston Martin’s history, in which Roy Salvadori and Caroll Shelby took the chequered flag ahead of the sister car piloted by Maurice Trintignant and Paul Frére. 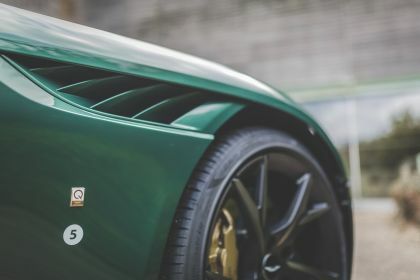 ‘DBS 59’ honours the DBR1 through specially engineered styling cues, showcasing the expertise of ‘Q by Aston Martin’. 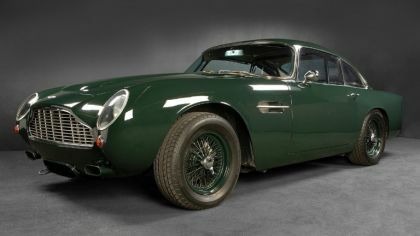 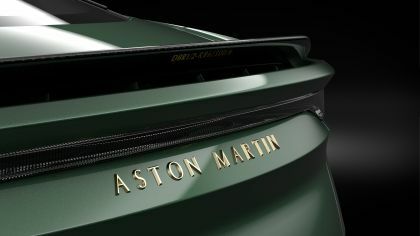 Following a careful study of the DBR1’s own paint exterior, Aston Martin Racing Green was the outwear chosen for ‘DBS 59’. 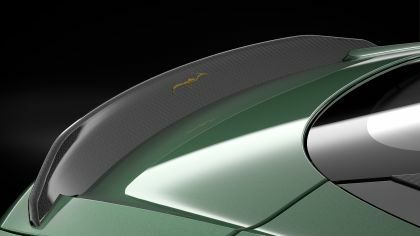 Gloss finish carbon fibre on the roof panel and strakes add a striking juxtaposition against the lustrous green. 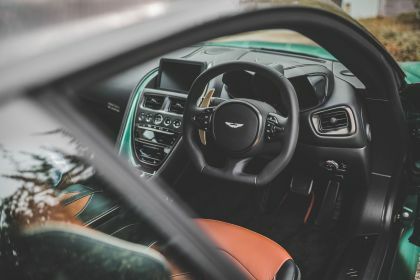 Bronze details such as the ‘Superleggera’ bonnet badging, bespoke front grille, brake callipers and 21” forged Y spoke satin duotone wheels nod to the bronze switches and dials on the Le Mans winner. 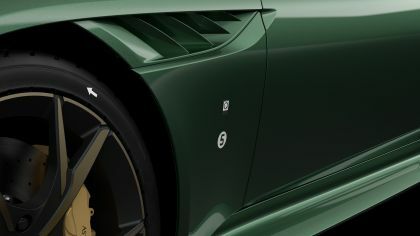 Further exterior details, such as the individually numbered roundel painted on the fender, and the bespoke tyre wall arrow decal, breathe the spirit of racing into the already impressive performance of the DBS Superleggera. 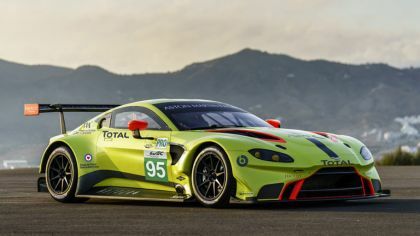 On the Aeroblade of ‘DBS 59’, ‘Q by Aston Martin’ has added a foil inlay – also in bronze – that outlines the original shape, chassis number and engine number of the DBR1 that won Le Mans in 1959. 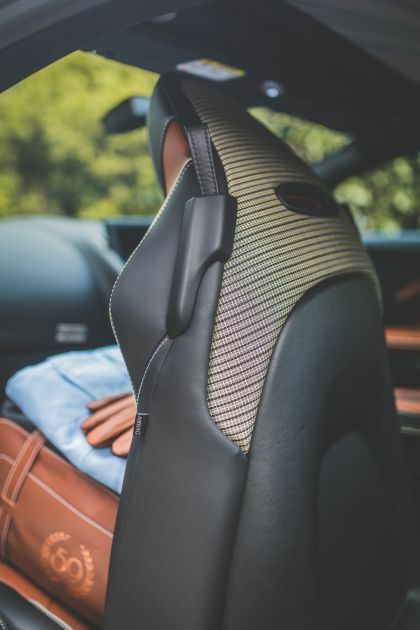 For the design of the interior space, ‘Q by Aston Martin’ analysed the original seat material used on the DBR1 and recreated that same weave with each seat back and door insert trimmed in heritage style material. 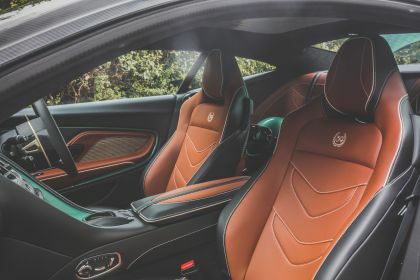 Bronze details continue in the hand-crafted interior space with unique bronze shift paddles and a bespoke ‘59 Edition’ logo embroidered on the seatback. 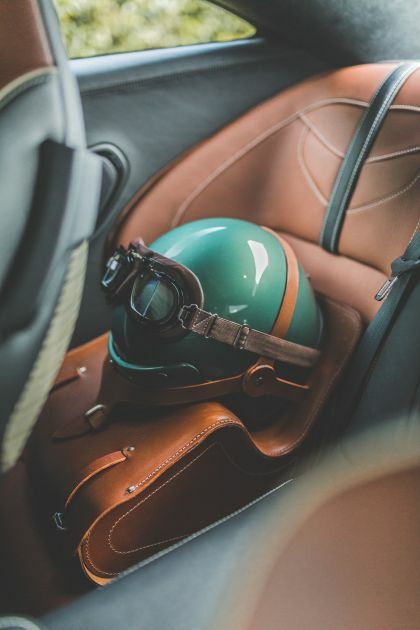 Finally, the interior combination of Obsidian Black and Chestnut Tan leather creates a calm sophisticated space that includes embroidery of the 1959 Le Mans circuit on the rear speaker cover. 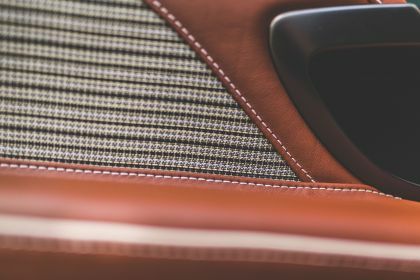 Also, embroidery on the sun visor gives the exact date the race took place and celebrates the 323 laps completed within the 24 hours. 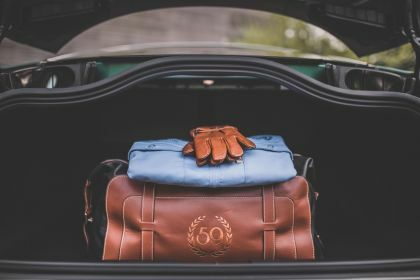 Accessories are also considered with a replica heritage racing helmet, 1959 blue race suits and replicas of Carroll Shelby’s race gloves. 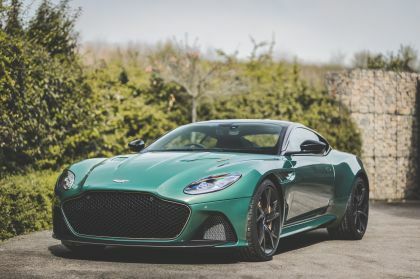 The DBS Superleggera was launched in 2018 and features a 5.2-litre V12 engine, DBS Superleggera can reach a top-speed of 211mph making it the fastest Aston Martin series production in the company’s award-winning range. 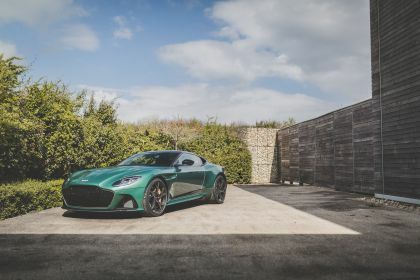 Bold styling cues and astonishing performance, make DBS Superleggera highly-desirable with ‘DBS 59’ the ideal machine for those that appreciate the lasting significance of the DBR1 victory. 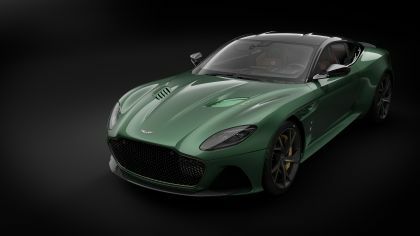 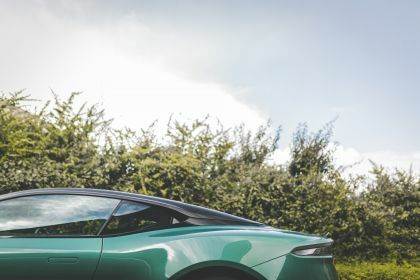 The ‘DBS 59’ follows on from the success of other ‘Q by Aston Martin’ commissions including the Red Arrows Edition Vanquish S, the Cygnet V8 and the North Coast 500 series of six DB11 GTs. 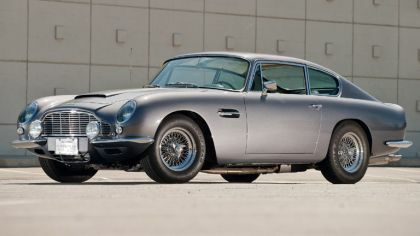 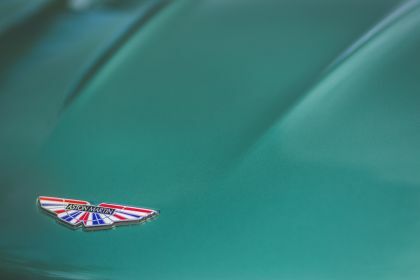 All enquiries relating to the ‘DBS 59’ collection should be directed towards Aston Martin Cambridge, please contact Richard Eniffer at richard.eniffer@jardinemotors.co.uk.